Sherry Mitchell-Bruker spoke before The Monroe County Council, where a resolution was passed acknowledging the vital importance of Lake Monroe and the support of the council for FLM's 319 grant application. Thanks to all for the support you have shown for our work. FLM has filed a Notice of Intent to the Indiana Dept. of Environmental Management announcing our intention to apply for a section 319 grant to develop a watershed management plan. FLM board members will be working with Indiana University faculty and staff to prepare the grant application, which is due September 1. We will be asking for matching contributions from local governments, businesses, and IU. Regional Watershed Specialist, Kathleen Hagan, spoke at the May FLM meeting about watershed planning and the Section 319 program. In partnership with Visit Bloomington, FLM has published a handy boating tips document to promote best practices for recreation on the lake. Follow these useful tips to boat responsibly and have a happy boating season! Ask Representative Hollingsworth to OPPOSE H.R. 2 also known as the Farm Bill and include his rejection of any attempts to undermine environmental safeguards on America’s national forests in any public statements or remarks explaining his opposition to the bill. It threatens the Hoosier National Forest (HNF) and Lake Monroe by removing safeguards built into the current HNF management plan. Ignoring that compromise, H.R. 2 would double the size of the just-conceded exemptions under NEPA to allow logging of up to 6,000-acres — almost 10 square miles for each single project — without review and disclosure of potential harms. The bill adds numerous new 6,000-acre exemptions. This partisan bill also goes further than the omnibus deal on the Endangered Species Act, allowing federal land management agencies to “self-consult” on whether their actions would harm threatened and endangered species even though such self-consultation has already been declared unlawful by the courts. Additionally, it attacks the landmark Roadless Rule, makes resource management and forest stewardship dependent on logging revenue, creating a perverse incentive, and jeopardizes fire-vulnerable communities by deprioritizing hazardous fuels reduction efforts. The Hoosier National Forest is smaller (204,000 acres) and more fragmented than most other national forests. As a result, the HNF shares approximately 1,400 miles of boundaries with surrounding property owners, making public input opportunities in management activities such as road building, timber harvests and salvage logging important to many local residents. 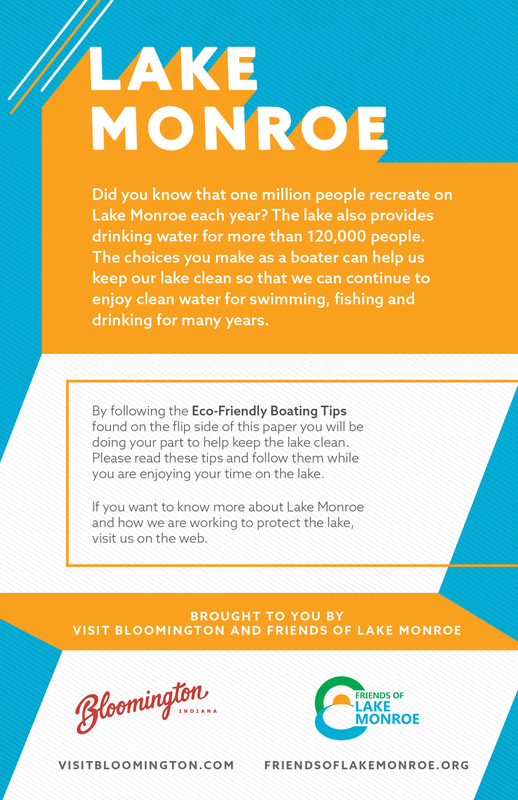 Lake Monroe is the water supply for 120,000+ people in Monroe and Brown Counties. The current management plan for the HNF allows for reasonable timber removal, but safeguards sensitive areas. The ability to log up to 6,000 acres without public input would jeopardize areas like the South Fork of Salt Creek that feed the Lake. Soil erosion not only contributes to sedimentation, but results in a buildup of organics which cause water treatment and algal growth problems. The federal forest provisions in the Farm Bill also run contrary to the wildfire funding agreement reached only weeks ago in the Fiscal Year 2018 Omnibus. A deal was only reached after significant environmental concessions to pro-logging hardliners, even though a comprehensive wildfire funding solution had solid bi-partisan support in both chambers going into the omnibus negotiation. For all of these reasons we strongly urge Representative Hollingsworth to OPPOSE the federal forest provisions in the Farm Bill and any amendments that further undermine environmental safeguards on our federal forests. Cara Bergschneider explained how the Natural Resources Conservation Service funds and promotes conservation practices, Dave Simcox reported on HB1289 which would restrict Monroe County’s ability to regulate logging near Lake Monroe, Sherry anounced that The Nature Conservancy has funded a graduate student to work with IU SPEA analyzing existing data for Lake Monroe, and more!